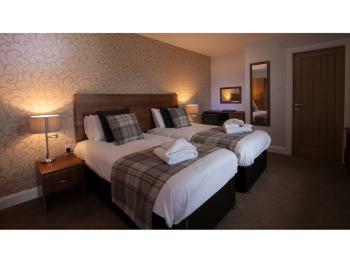 A well appointed twin room located on the ground floor of Uig Lodge. 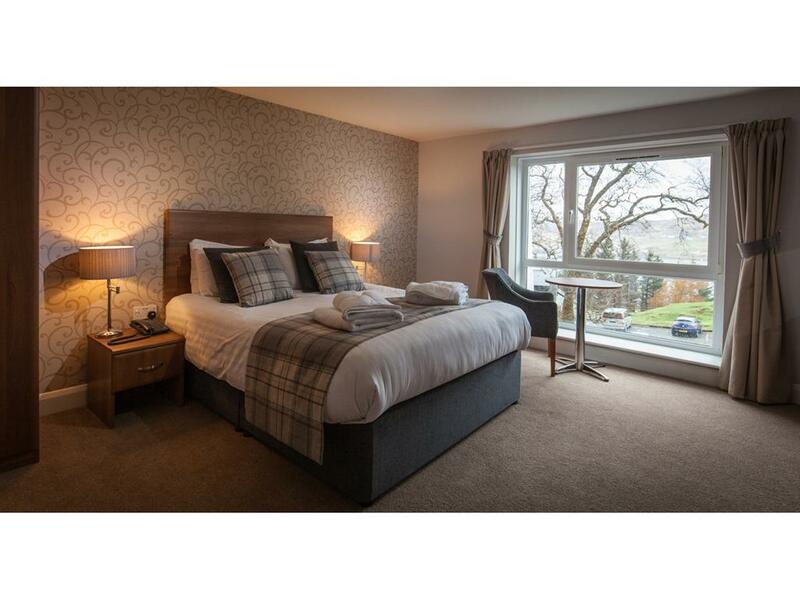 The room has en-suite facilities and is equipped with TV, tea and coffee making facilities. All of the rooms in the Uig Lodge have been fully refurbished this winter and will be ready for Easter 2016. 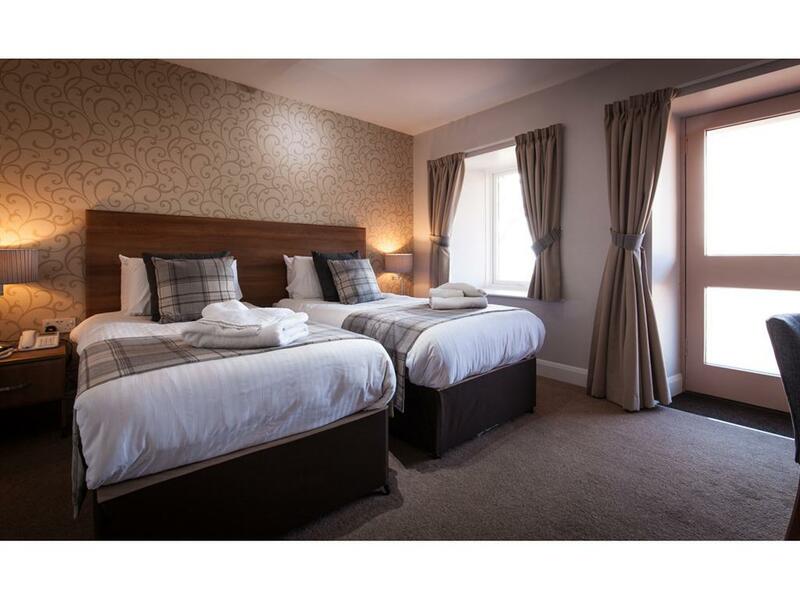 All rooms are en-suite and have a TV and tea & coffee making facilities. 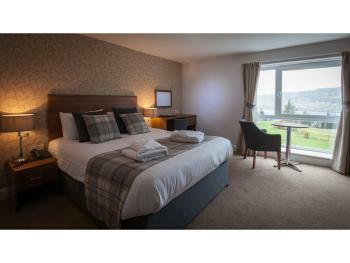 The double rooms in the Lodge are all on the first floor which has wonderful views over the top of the Uig Hotel to the bay and beyond. 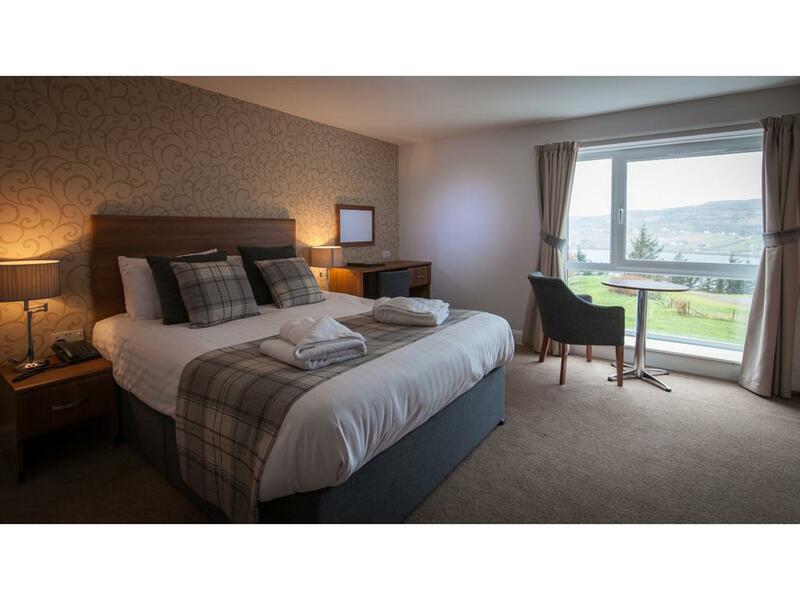 All of the rooms in the Uig Lodge have been fully refurbished this winter and will be ready for Easter 2016. All rooms are en-suite and have a TV and tea & coffee making facilities. 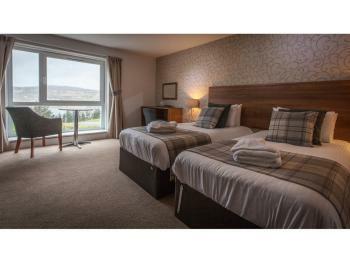 This twin room in the Lodge is on the first floor which has wonderful views over the top of the Uig Hotel to the bay and beyond. All of the rooms in the Uig Lodge have been fully refurbished this winter and will be ready for Easter 2016. 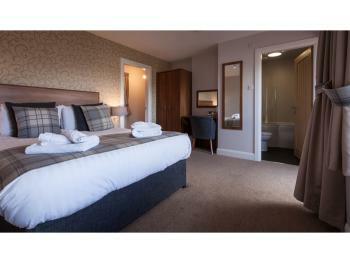 All rooms are en-suite and have a TV and tea & coffee making facilities. 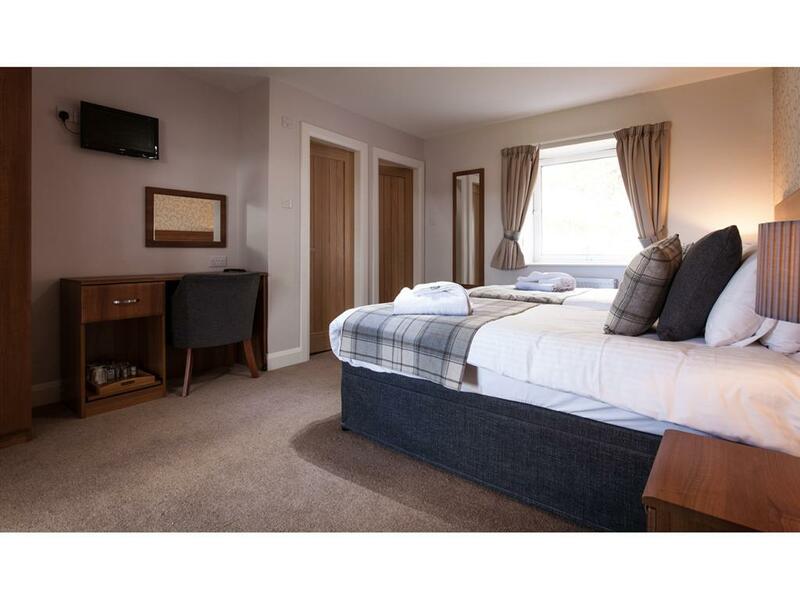 This 2 bedroomed family suite on the ground floor of the Uig Lodge is ideal for a family of up to five. It has a double room with an en-suite bathroom and a twin room, which can accommodate a third bed, with an en-suite shower room. 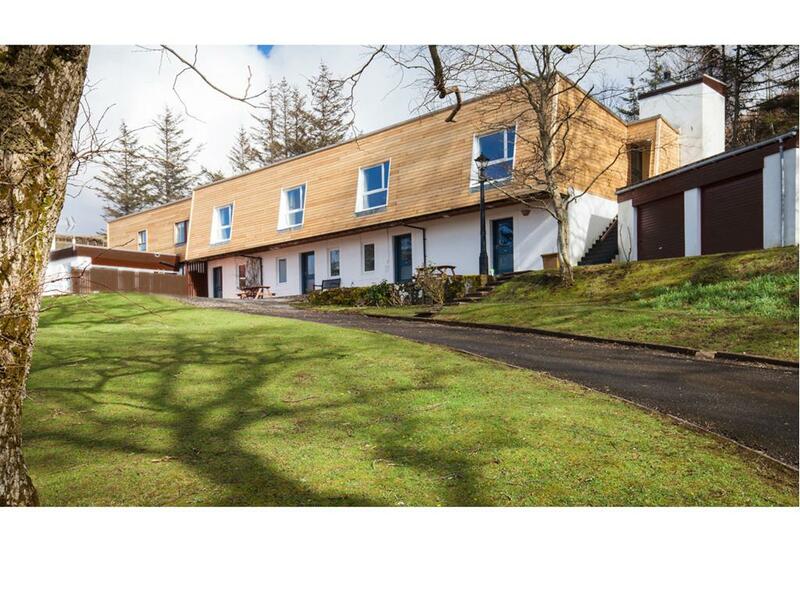 The Uig Lodge has been fully refurbished ahead of its re-opening in April 2016. The lodge is situated just behind the Uig Hotel and the rooms in it enjoy spectacular views across Uig bay to the Ascrib Isles and Waternish beyond. 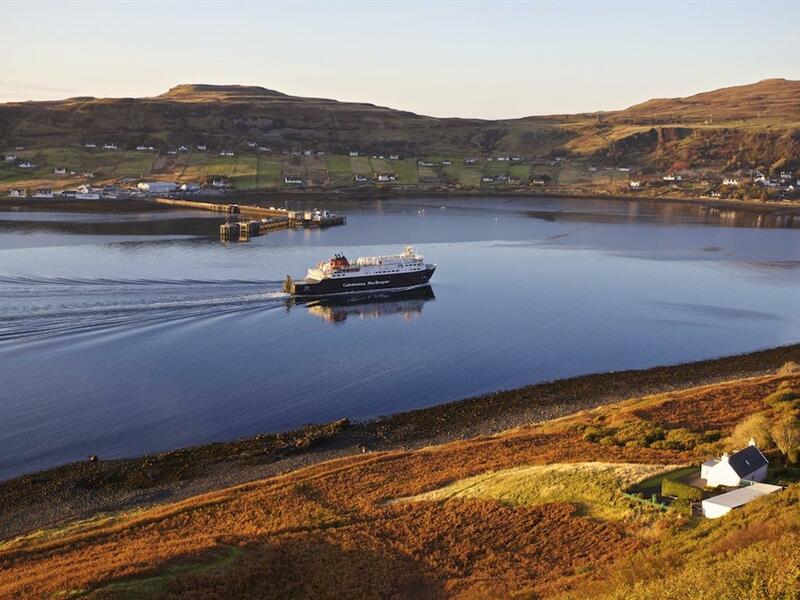 The daily ferry service to both Harris and North Uist leaves from the bay. 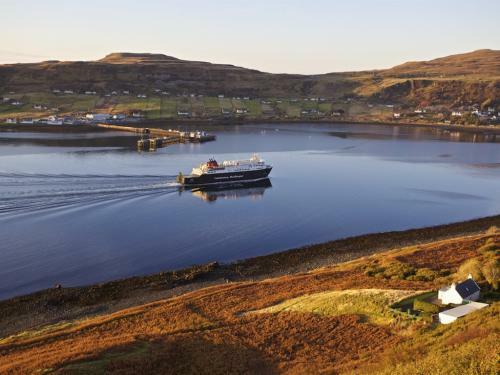 The ferry terminal is just three minutes drive from the Uig Lodge. 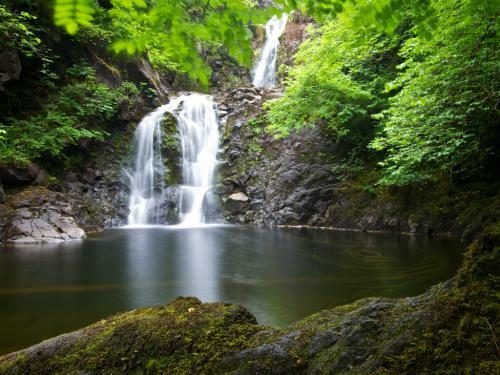 There are opportunities for sightseeing, watching wildlife, walking, fishing or just taking it easy in a corner of Scotland where life seems to move at an easier pace! It is little known that during summer months the Ascrib Isles in Uig bay becomes home to hundreds of puffins. Taking a trip to see them will often include close encounters with whales, dolphins and even the mighty basking shark. The restaurant at The Uig Hotel uses locally sourced ingredients wherever possible, it is known for its excellent freshly cooked seafood. To avoid disappointment tables for dinner should be reserved in advance. The Uig Hotel has a lounge bar with sun lounge and serves a full range of drinks, including over 100 wonderful single malts, draught beers and the locally brewed Isle of Skye Brewery cask conditioned ales - it is an ideal place to relax over a drink after a hard day's sightseeing and watch the sun go down over the bay. There are 3 ground floor rooms accessed directly from the road outside the lodge. One of these has a ramp to the front door. The Uig Hotel is situated at the end of the A87. Once over the Skye Bridge follow the signs for Uig. 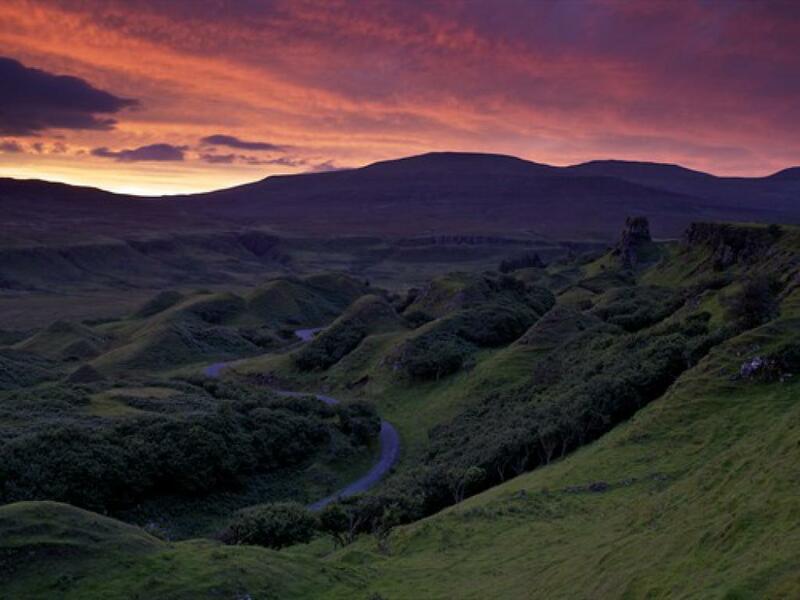 Uig is approximately 50 miles from the Bridge and fourteen miles from Portree. The only turn you need to take is about a half a mile after the Aros Centre as you get into Portree, it is a turn to the left. As you approach Uig we are situated on your right hand side as you come down the hill, the hotel is opposite a round tower and next to a striking white church.